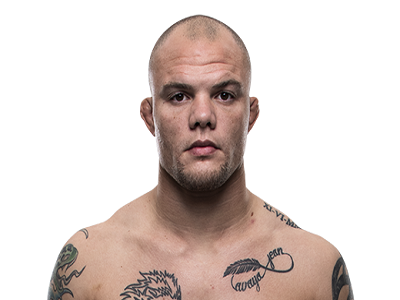 Anthony Smith is one of the hottest rising stars in the UFC’s 205 pound division. He has finished his last three opponents including two former champions in Shogun Rua and Rashad Evans. There are plenty of fights ahead for the thirty year old but he must stay focused and make the most of his youth. Retirement sneaks up on us all. Earlier in his career he would amass a respectable win streak only to match it with a losing skid. Recently the pattern is one loss, three wins, repeat which isn’t the worst thing to happen someone, but seeing that his next fight is coming after three wins in a row one has to ask – will he continue the pattern with a loss. Smith steps in to The Octagon with light heavyweight champion Jon Jones in March at UFC 235 making the odds of a loss pretty high for just about anyone. Smith was on Ariel Helwani’s MMA show and he dove in on the topic of Jon Jones. It was only natural for PED’s to eventually come in to the conversation given the fact that a microscopic amount in Jon’s system forced the UFC 232 event to be moved at the last minute from Nevada to California. BUT…it sounded to us like he could honestly could not care any less what was in the champion’s system (via BJPenn.com). Honestly, I don’t care. At this point, I got what I have been working for my entire career and it’s going to take more than Jon Jones’ pee to change my mind. I’m in there, I’m going. It wouldn’t matter what you told me. Right now there is nothing that would stop me from fighting Jon Jones. If you told me he was fighting with a shiv in his jock strap, I’m still going in. What do you think? Will Jon test clean or will history repeat itself? Will Smith actually break his win three – lose one pattern?